In 1180, the town in the center of the Alps derived this name from its position by a bridge over the River Inn ("Inn" = name of the river flowing by, "bruck" = old German word for bridge). Remnants show that Romans had been here about 15 BC. At this time, Innsbruck was one of the major transport centers from Germany in the north to Italy in the south. In medieval Tyrol, its capital, Innsbruck played an important role in Europe’s history. The "Golden Roof" and the houses of the very attractive historic center are witnesses of this era. Over the last several decades, Innsbruck gained fame by hosting the Winter Olympic Games in 1964 and 1976. The 2.047 m (6716 ft) Passo Manghen is on the bucket list of every motorcyclist in the Alps. It is the only crossing for cars between Molina (North) and Castelnuovo (South). The distance between the two Valleys is about 40 km. The inclination is up to 16 %! The northern ramp has 13, the southern one 10, partly narrow switchbacks. Trucks and busses are not allowed on this pass. 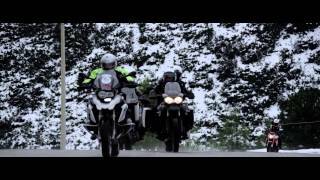 We have been touring the Alps, the most attractive motorcycling region on our planet, for more than 3 decades. All this time, we saw areas and routes we wanted to explore, but did not dare because of the riding conditions: We thought they were too tough for our Edelweiss motorcyclists from around the world. Over time, however, we realized that there are riders who want to experience those bigger challenges. So we designed a RIDE4FUN tour which combines tough routes, challenging roads and hotels with a local flair. As all RIDE4FUN tours run without a luggage van, we carry our valued belongings on the bikes. We start in Mieming, in the heart of Tyrol, where we discover the beautiful Alpine world and get enchanted by the amazing, curvy streets from the very beginning. On partly hidden, narrow and simply breath-taking roads we also cross famous Alpine passes like the Stelvio Pass or the Manghen Pass and enjoy the view. You will remember this tour forever and one thing is for sure: RIDE4FUN lets every motorcyclist's heart leap for joy. Greetings Edelweiss staff: I want to take some time now to say that it was a total dream come true last week experiencing the Alps Extreme motorcycle tour with Anthony Fairweather and Manuel Reheis. I first read in RIDER Magazine 1980 in the classified section about Edelweiss motorcycle tours. Of course being only 17 years old, that was a dream. Last week that dream came true. The two tour guides were as splendid as they can be. Professional and fun ... that is a nice package mix. They actually complement each other with their personalities and riding styles: Safety first and fun next. You have two great persons in your company and please let Anthony know that I will be his Wingman anyplace/anytime. Best safe & fun ride wishes to both Manu and Tony on future tours. I am quite sure that everybody in our group has the same feelings as I do regarding our Alps Extreme Special Tour. Despite the bad weather that showed no mercy towards us, we had a great time and enjoyed every minute of the trip. Tony and Björn were so nice and helpful and made all of our lives much easier, adapting the tour according to the possibilities throughout the day. We all hope to get together again on a new tour with you guys and this time we will hope for good weather. Enjoy your summer as we are going to enjoy our winter. The Alps Extreme tour runs through some of the most beautiful and challenging roads you can find in the Alps. You’ll ride hours and hours through breathtaking landscape, devouring hundreds and hundreds of curves and hairpins every day. If you like to ride your bike on twisty mountain roads and you are never tired of doing it all over again, believe me, this is your tour! You will discover famous mountain passes like the Stelvio, the Gavia, the Großglockner and many, many others. The most interesting aspect of the tour is that the route often takes almost unknown roads that only locals (or the Edelweiss tour guide) can find. This means that you’ll ride (and see places) that probably you'll not be able to discover if you ride by your own. In this regard, please, accept my suggestion: Don't be lazy and use the so-called 'rest day' to follow the tour guide through the great roads that brings you from Levico Therme to Lake Garda and then to Lake Idro. Trust me, you'll not regret this choice. Ok, I'm telling too much. However, I want you to understand that, if you'll take part in this tour, you'll ride in a kind of amusement park for bikers. This is definitely NOT a tour for rookies. You need to have a good riding experience to handle that kind of roads safe and sound. The tour guide Manuel did a great job guiding us safely to the next overnight stop (thanks Manuel) and the group was just FANTASTIC - I was lucky to have had such a great bunch of people on my tour, with whom I could share this amazing experience. The hotels were pleasant and offered a relaxed stay and food was great also. Last but not least: The setup of the tour was easy, thanks to the very competent and polite Edelweiss staff. It's almost like having a personal assistant (thanks Viktoria for your patience) that helps you finding the right arrangements for your trip: Flights, shuttle service, extra nights and anything else one could look for. 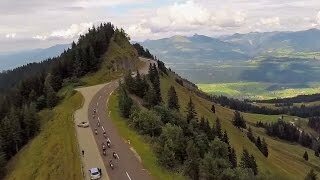 If you like to ride your bike along the most amazing roads all day long - don't hesitate doing the Alps Extreme tour and enjoy.